At twenty-six Manhattan School of Music graduate, Mike Davis is in the vanguard of a burgeoning group of like-minded young musicians exploring, reviving and performing the music of the twenties and thirties. Cornetist Davis and his peers are dedicated to their art; scholarly attention to detail, a determination to provide a platform for, and raise the profile of, the music, and to proudly celebrate their love of the period and its then, revolutionary musical form. 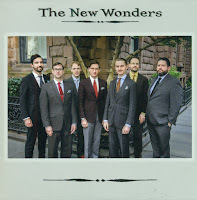 The New Wonders were formed to further cornetist Davis’ ambition to play the music to a listening and dancing audience. 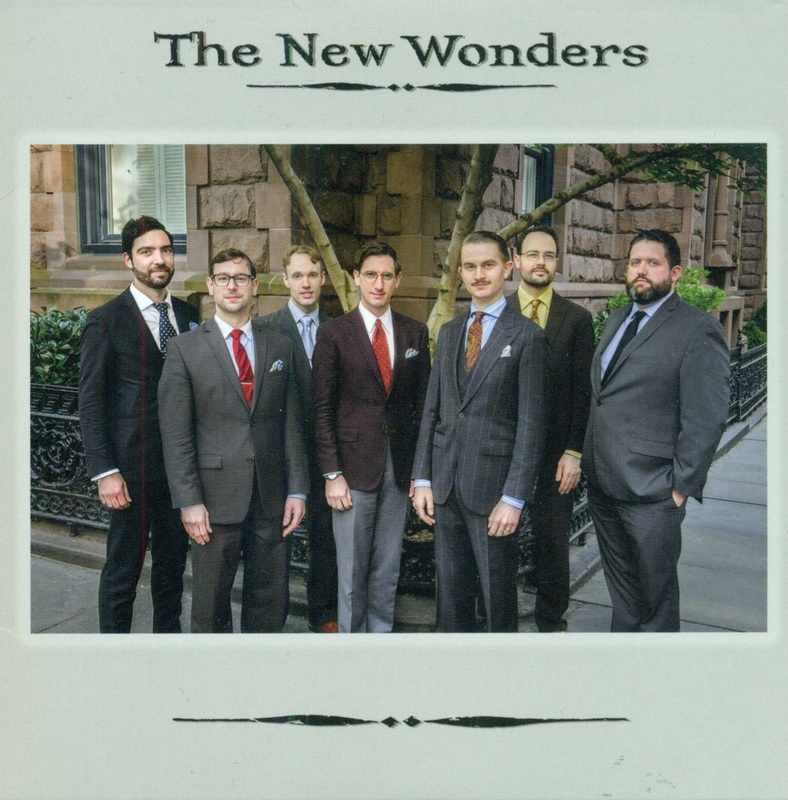 The septet’s first album titled The New Wonders features several members of New York’s twenty-first century ‘jazz age’ practitioners. One hundred years on from the first ‘jazz age’ frontiersmen, Davis and co are blazing their own pioneer trail. The ‘New Wonder’ refers to Bix Beiderbecke’s preferred choice new model cornet. The CD comprises fifteen tracks, many of them familiar, all beautifully recorded and performed. Popular songs and bona fide classic jazz numbers of the era feature Davis’ appealing vocals and of course his cornet playing. Our twenty-first century Bixian plays a Conn New Wonder cornet and other members of the septet, wherever possible, play period instruments. Bix and Tram, Red Nichols and Bing Crosby, Davis’ New Wonders play with an enthusiasm and expertise that would have made them the talk of the town one hundred years ago. The CD’s transcribed numbers encourage ensemble improvisation and in addition to Davis’ vocals, there are delightful three and four-part vocal harmonies. From the opening Flamin’ Mamie to I Get the Blues When it Rains to the imploring vocals of Clorinda, the fun Smile, Darn Ya, Smile to a real highlight – I’m Walking Between the Raindrops – The New Wonders is a highly recommended new release. If you’re lucky enough to be passing through Racine, Wisconsin on March 10, take time out to hear Mike Davis at the annual Bix Fest. Bix Beiderbecke was born March 10,1903. Bebop Spoken Here readers can hear young Mike do his stuff at the annual Mike Durham Classic Jazz Party in Newcastle this November - assuming they're not all flying over to Chicago in the next few days! This tremendous CD can be purchased from the CD Baby website. Presumably anyone who's going to Chicago over the next few days will be back in time for november.